Update: Multiplayer listing was an error on Sony’s part. Supermassive’s long in development horror title Until Dawn will finally be releasing on the PlayStation next month and along with a campaign that allows for numerous choices and several outcomes, there will also be a multiplayer mode included. According to PlayStation Asia, the multiplayer mode will feature for 2 to 12 players. It will be interesting to see how it ultimately ties together, since there eight main characters and one killer involved in the mountain cabin game of cat and mouse. Interestingly, if you factor in the two missing friends – twin sisters Hannah and Beth – then the player count does equal 11 players. So we’ll see that works out. 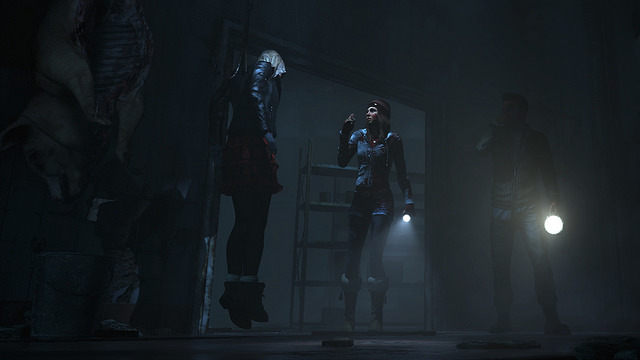 Until Dawn releases on August 25th in North America and August 26th in Europe. It follows eight friends spending the night in a log cabin only to be hunted by a serial killer. The gameplay itself will involve a mix of QTEs and features multiplayer endings. Thoughts on a multiplayer experience to go along with this? Let us know in the comments. Update: An SCEE rep recently spoke to Videogamer and confirmed that the mention of a multiplayer mode was in fact an error. Oh well.